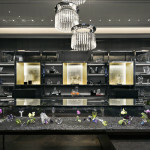 The 2800 sq. 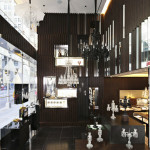 ft. flagship store opened ahead of Baccarat’s 250 year anniversary. 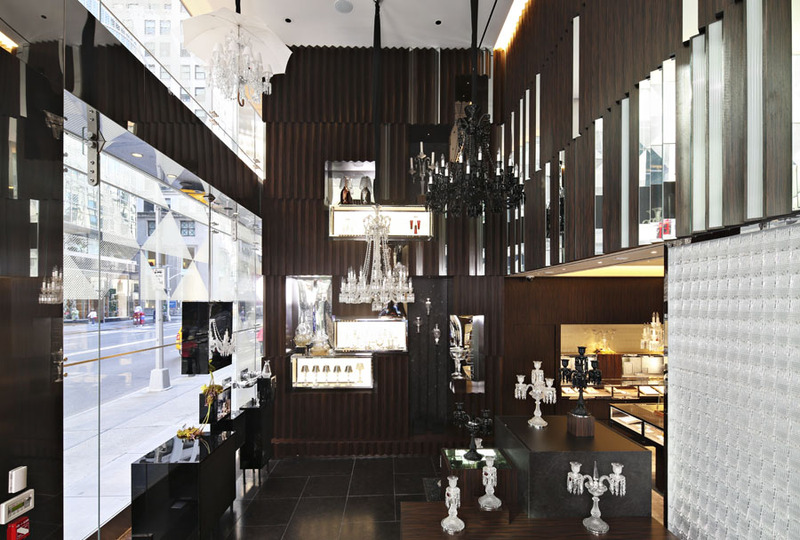 Architecture at Large, a multi-disciplinary practice working within the architecture, interior, art, and branding fields, recently transformed a blackstone Madison Avenue facade into a flagship store for Baccarat, a French manufacturer of fine crystal renowned for their craftsmanship and innovative designs. 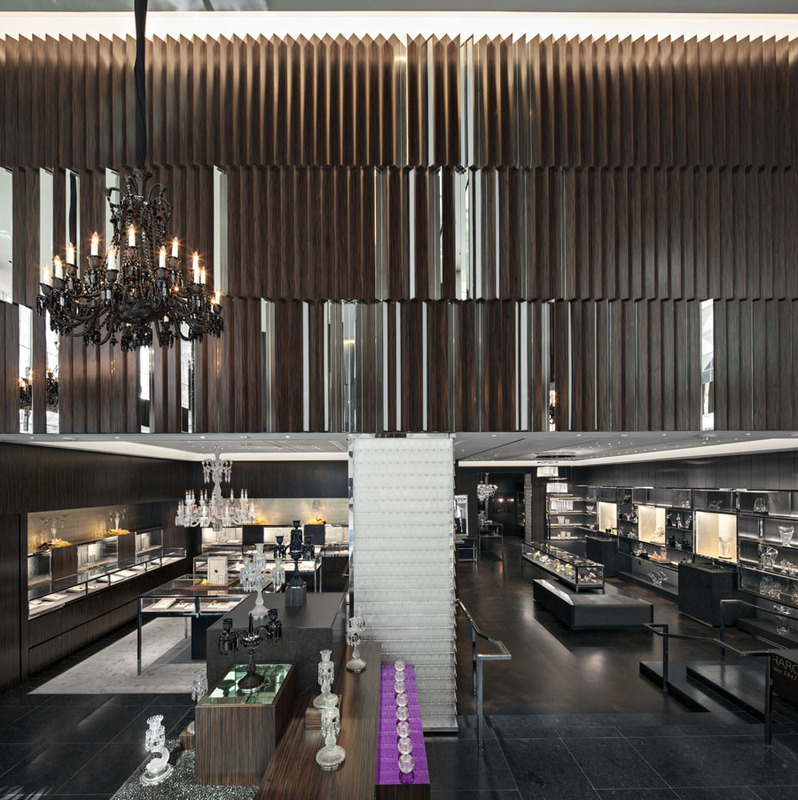 The facade draws inspiration from said craftsmanship of the 250-year-old brand. 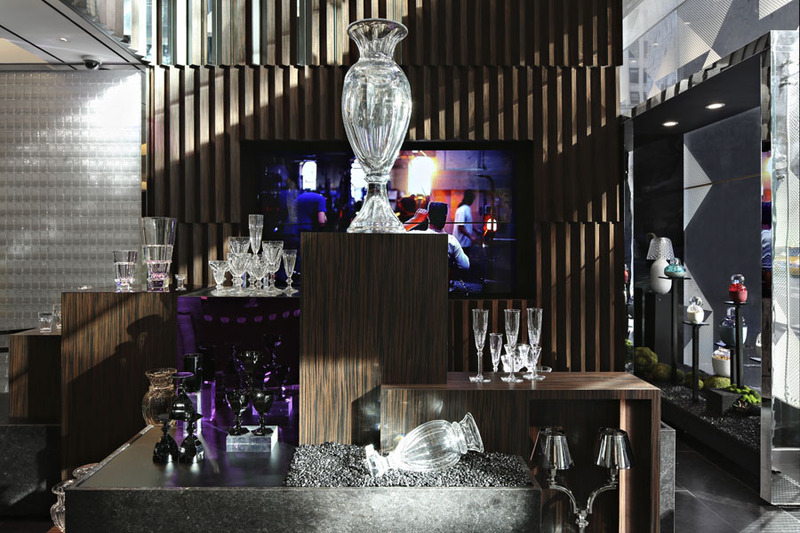 Composed of three-layers of custom frit glass, a large-scale, faceted pattern abstracts the cutting of crystal glass into a super scale pattern. 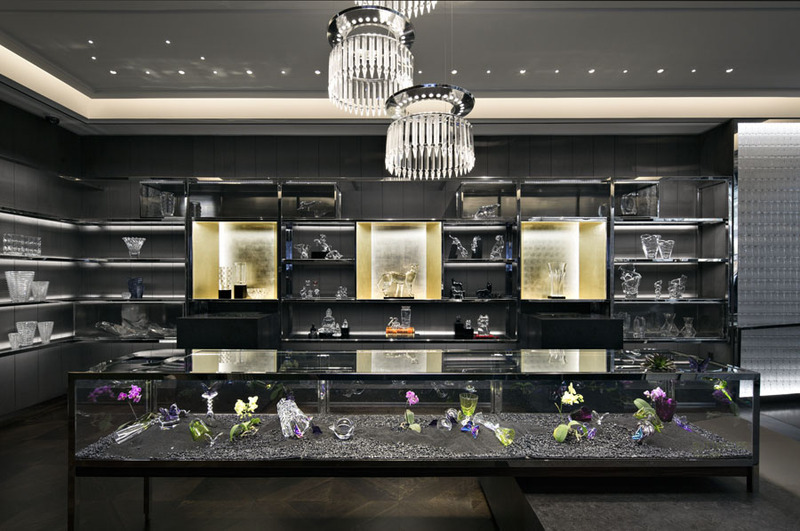 “One of the most difficult techniques in the cutting of crystal is the diamond cut,” says Rafael de Cárdenas, founder of AAL, “and one of the key attributes that sets Baccarat apart from their competition is the level of intricacy to their cuts.” Through various densities of fritting applied to the three layers, ranging in density from 25-75%, a dynamic shifting image is created for passersby and visitors to the building. 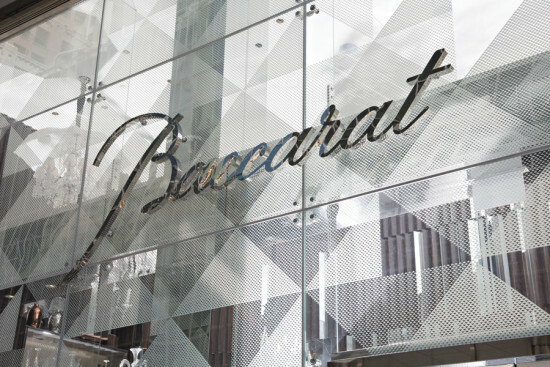 The Baccarat facade affords limited views of the interior walls, lined with a disorienting blend of dark Macassar ebony wood interspersed with mirrored strips folded into a zig-zagged, corrugated surface. These walls—along with a large centralized chandelier hanging over the entryway—reflect daylight in the space. 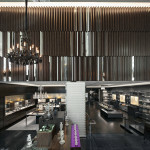 Cardenas says the sharpness of this feature wall was inspired by the brand itself. 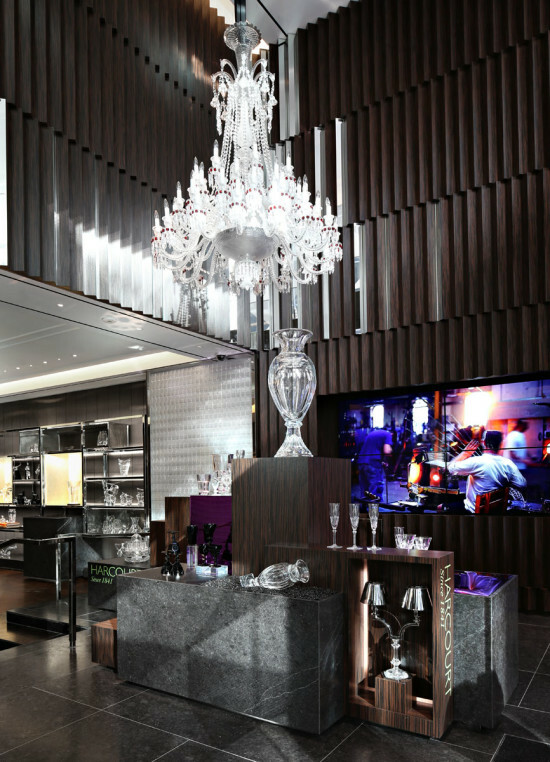 “We liked the idea of creating a mystery – of obscuring the interior to create a sense of seduction.” Specific portals utilizing clear glass were framed out on the ground level to establish storefront display zones, and selectively above to reveal the chandelier from the exterior. The retail project was composed of a notably significant project team, pairing two architecture firms with a code consultant, structural engineer, and project manager. 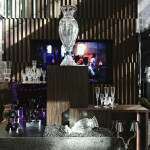 The team ultimately influenced the identity of the facade through performative analysis. 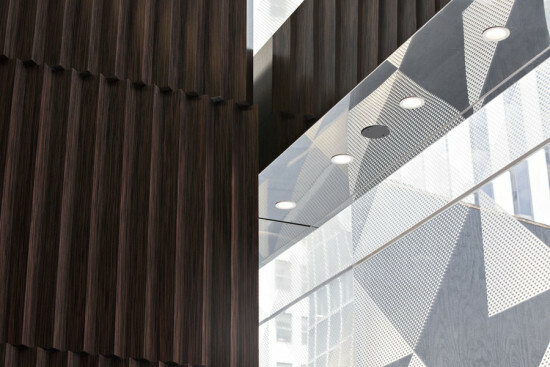 Fritting pattern densities were adjusted, and ultimately increased during the design process to promote greater heat retention within the interior space, helping to reduce HVAC loads on the building. 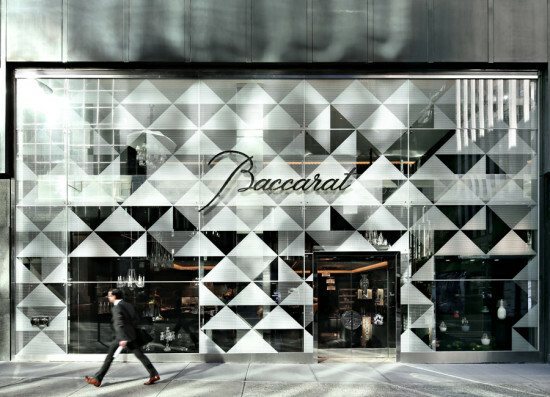 The existing floor plates of the building were modified to create a large, two-story entrance to the store, resulting in a significantly altered facade opening, infilled with a two-story glass storefront.